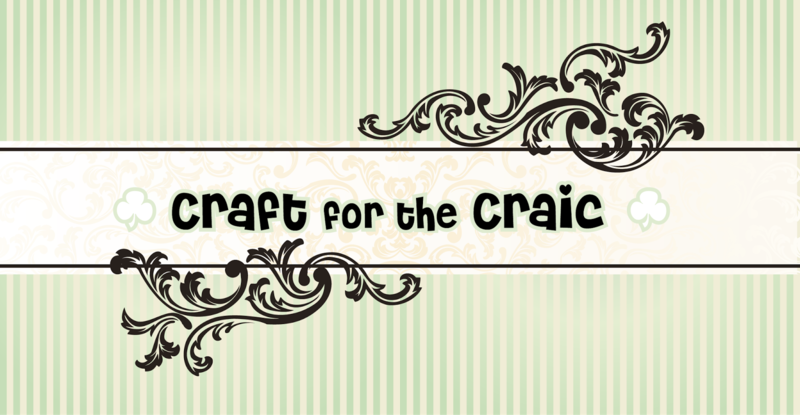 Card Room Delights: Craft for the Craic! I have some wonderful news to share - I have started up a challenge blog with the good help from my dear friend Michelle. 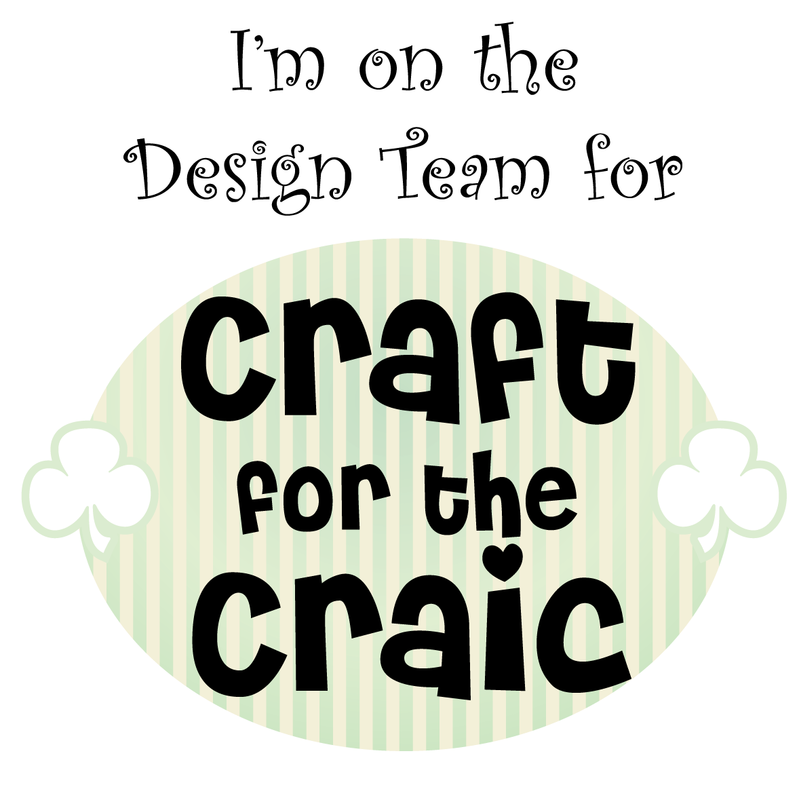 It is called "Craft for the Craic" (Irish for fun). The theme is to include a heart on the project. Anyway, please check out Michelle's wonderful creations and we would love to see your creations in the challenge. What fun to start your own Challennge blog Eithne!!! I'll have to check it out...thank you for joining us here at Fussy and Fancy "Be my Valentine" with your LOVELY card!! Very pretty. I love how you achieved all those layers. Pretty card! Love all the layers and textures. Thanks for joining us at Cut It Up. A fabulous card! great job. 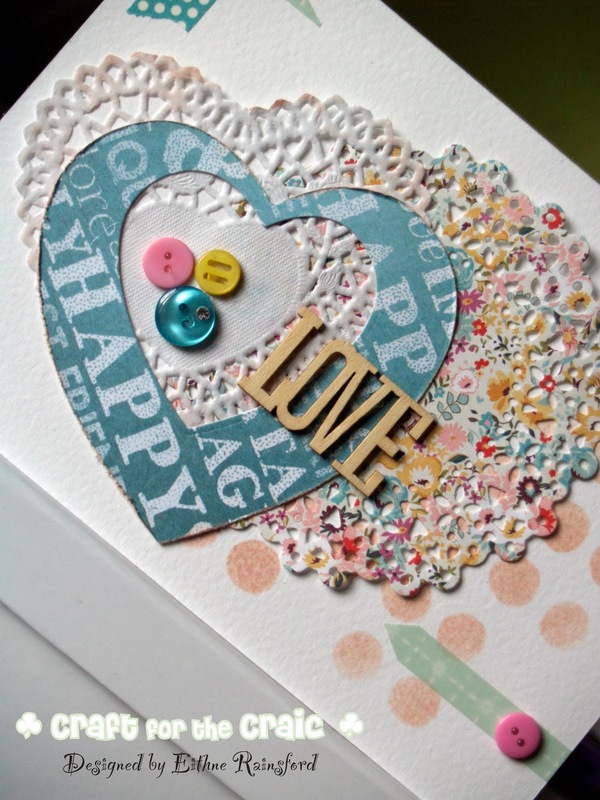 This is the sweetest card.I love the layers of hearts and doilies and the pretty palette. The buttons are adorable and the dots add energy. The love word ties it all together. 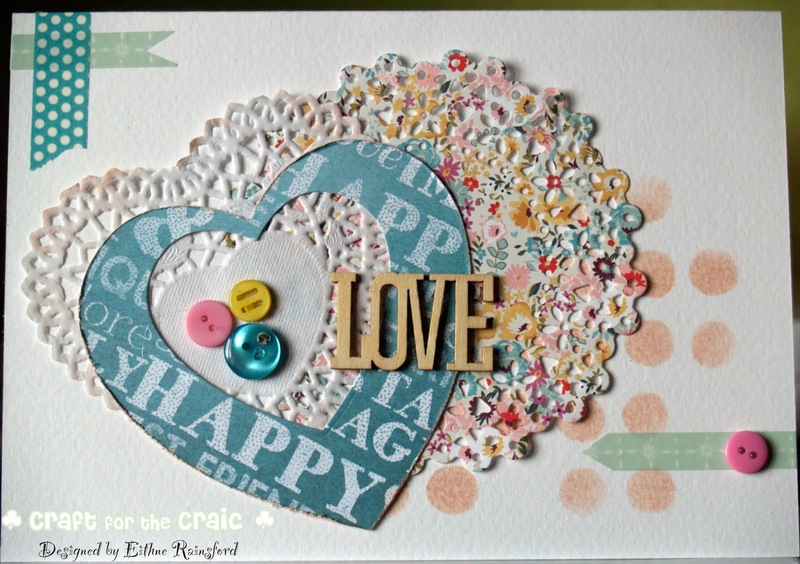 Thanks for joining our Anything Goes/Valentine's/Love Challenge this fortnight at Craftitude. I hope we see you again soon.